The wait is finally over. After more than one year of development time, a lot of sweat and hundreds of thousands of working hours, we are very proud to present a complete new software family. More. More of everything! This is what drives us and what we have incorporated in our new software for your benefit. 40 developers were involved in this project and they did not just develop any type of software. 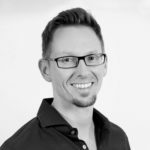 This software enables a worldwide unique analysis in the SEM and SEO + Social sector and at the same time it is intuitive. We love it and you will too. And because it is so easy, we designed a new software family and called it Searchmetrics Essentials. The Searchmetrics Essentials are integrative components of the Searchmetrics Suite ™; therefore all our Suite customers have full access to all Essentials. However, for the first time we are offering the opportunity to buy products in the usual Searchmetrics quality individually – and that from $99 per month. Each section is individually expandable, so that everyone can configure Essentials based on their own needs. To this end, we have developed an Online-Shop which simply allows you to do more and you can add features at any time in a matter of seconds, without annoying waiting times or complicated forms. This is a new Searchmetrics Suite 6, but part of the Suite. 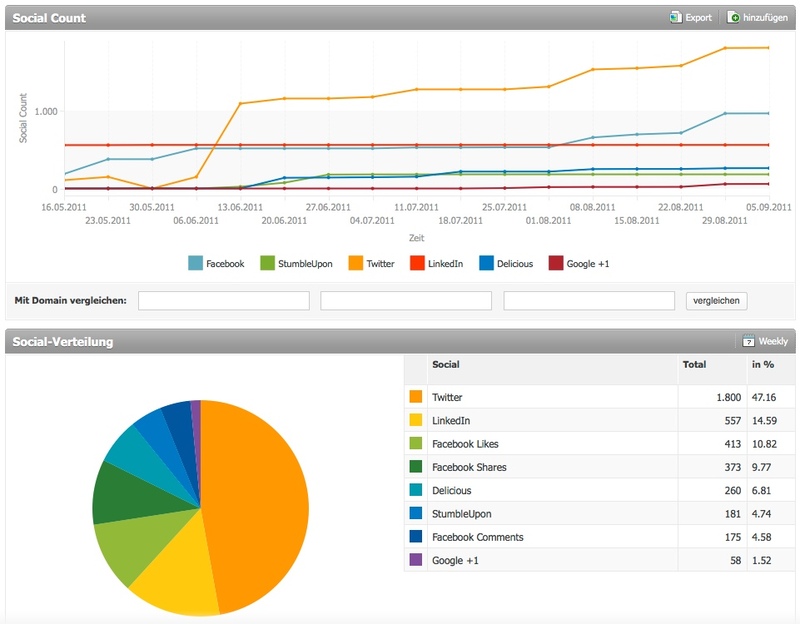 First, we updated the Research part, namely the quick and longtail analysis and the Social section. 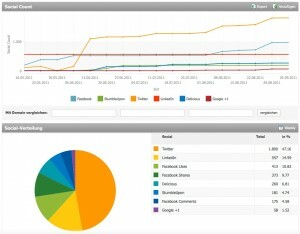 The Searchmetrics Suite is still complete from the start and will remain our flagship. Own keywords, own domains, API and the linking of web tracking partners (Google Analytics, Adobe SiteCatalyst, AT Internet, etc.) will still only be available in the Suite, that will not change with Essentials. Ideas, manpower and technology, is what we invested for developing the largest database for SEO+SEM and Social we linked it in such a way that it is simply “more”. For me, “more” is the key, and that is what Searchmetrics does. Not just simple data, but data that leads to more knowledge and success. Thanks to the many options and the fact that everything is integrated in one software, one can simply analyze anything. No need for different tools, everything is under one roof. This starts with a simple keyword research, a competitor analysis for SEO or SEM, through search engine rankings and goes right up to extensive Social Media analyses; with us you simply know more. The results are unbelievably good, that is why we have decided to phase out the OPI (Organic Performance Index) and other indexes. Rest in Piece OPI and Welcome “Visibility” family. What good are numbers if I cannot compare them to my competitors? Here it starts, because who exactly are your competitors? Competitors in search engines are often different to competitors with the same business model, whether offline or online. Time and again, however, search results come up with webpages which one would never have considered as competitors. That is why we offer several types of competition analyses: At a glance, we show which competitor is noteworthy, who could become dangerous and who can actually be ignored. This way you can focus your time on those competitors you want to learn from. Our simple listing of industries will show up areas in which competitors are strong and where there are overlaps with your business. It is not only the large brands that look across borders. The Internet is not restricted to countries, even for owners of smaller web pages or affiliates. That is why out Searchmetrics Suite now covers 32 countries and Searchmetrics Essentials cover 15 countries. 15 countries! And this at an incredible $99 per month! There is also no limit to individual countries – from $99 for ALL 15 countries. And we have included the most important countries (see chart). Because we are so sure about our software, we would like to offer you the option to register an account, free of charge and to try as long as you wish. No credit card information, no bank account details and no hidden obligation that you will automatically become a paying user after 30 days! 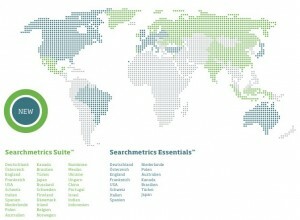 Check Searchmetrics Essentials out for free and see for yourself. It really is amazing how Linkvendor.com 6 started out 6 years ago as one of the most successful SEO platforms and now has reached new heights with Essentials. You cannot see everything in the test accounts though ;), but you will quickly understand why we are so proud of our Essentials and why the purchase is worthwhile. But that’s not enough: Each report can be sent by mail, Twitter, Facebook, or otherwise. And even without an account, the recipient can see a portion of the data. Without registration and without obligation. This is the way sharing is fun. Our new individual Reporting System is also brandnew. Each KPI, each chart, each table (!)(!) can be added to an individual report with one mouse click. Accordingly, such an individual report or dashboard can be put together attractively, in terms of graphics and content. You can even incorporate your own texts or graphics. As each report also receives an individual URL, it can be used as a bookmark – or simply exported as a pdf file. It has never been so easy to combine data so individually and simple. By the way, it does not matter from what sector the KPI, the tables or the graphs originate. Last but not least, the part about the social networks. We have made something incredible come true: We measure proactively (!)(! ), the probably strongest Social Media webpages such as Facebook, Twitter, Google, +1, LinkedIn, StumbleUpon and Delicious and you can extract vast knowledge about real user behaviour. We know what really happens in the networks, what is clicked on and liked and who really has relevance here. This suddenly makes own social media campaigns measurable and you can quickly check what made competitors so successful. User feedback is invaluable, because by knowing what is being “liked” I can adapt my content to users and do not have to adapt my users to my content. This is really true. We make Social Media measurable and there is no comparable tool. So give it a try right away or register for free. By the way, I always look forward to your feedback, suggestions and comments. Thanks so much for writing this. Brief question, if you wouldn’t object. Where did you grab your web-site template? I’m launching a blog and care for your websites.